Austin Tice has been missing in Syria for 2444 days. The National Press Club, along with other Free Austin Tice Coalition partners, is organizing a project called "Night Out For Austin Tice" where restaurants across the city and around the country will agree to contribute a portion of their proceeds from the evening on Thursday, May 2, 2019 to a fund that will be used as a reward for information leading to the safe return of journalist Austin Tice. May 2 is the evening before World Press Freedom Day. The fund will be kept at the National Press Club Journalism Institute, the Club's 501(c)(3). The goal of "Night Out For Austin Tice" is to raise $1 million to match the FBI reward and for Austin's safe return to society. The "Night Out" concept is frequently used by schools and other community institutions to raise funds while having a fun night with families and classmates participating together for a good cause. There is often an educational component to "Night Out" activities – and there will be one in this case as well. The National Press Club and its partners plan to hold regular updates to discuss the number of restaurants added and how the project is progressing in different markets. In each participating restaurant, the partners will provide collateral materials that describe Austin and his background as an Eagle Scout, GU law student, USMC Veteran and award-winning journalist to help Americans better understand who journalists are and the kinds of danger they sometimes face to keep the public informed. For more information or press inquiries, please contact William McCarren, wmccarren@press.org or 202-662-7500. 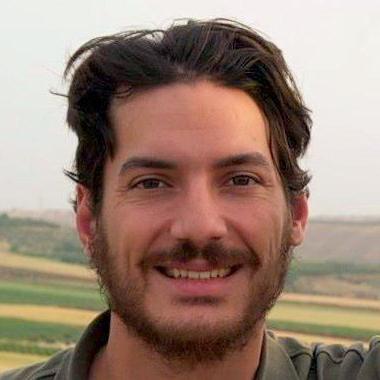 Austin Tice is an American journalist being held captive in Syria. He was taken in August 2012 so has been missing for six years. No one is claiming to have him or demanding ransom. He was last heard from in a taxi headed to the airport near Damascus. Austin wrote for some important publications including the Washington Post and McClatchy Newspapers. He filed reports for CBS News and took some outstanding photographs. He was part of a McClatchy team that won a Polk Award for coverage of Syria. Austin was at Georgetown Law School when he left to go to work in Syria. He served in the United States Marine Corps in Iraq prior to Georgetown. He is from Houston and was home schooled. He was an Eagle Scout. In April 2018, the FBI offered a $1 million reward for information leading to the safe return of Austin Tice. What Is "Night Out For Austin Tice?" Some organizations in your community (including The National Press Club, The Washington Post, Georgetown University and Reporters Without Borders) are trying to help Austin by raising awareness of his case AND by raising more reward money through the Night Out program. The program starts by encouraging restaurants to sign up by completing pledge forms. The agreement commits the restaurant to offer a percentage of the revenue raised from the “Night Out” promotion at their restaurant on May, 2, 2019. In exchange, the restaurant will benefit from advertising/marketing and publicity related to “Night Out for Austin Tice,” which encourages diners to support your restaurant. Studies show that consumers increasingly find purchase motivation for restaurants that support good causes. There are many people in your community that would like to do something to help Austin Tice – and there will be more of them when the coalition has completed its campaign. Night Out gives them a way to do that by doing something that is easy and they can feel good about – visiting your restaurant. You know the difference between an average or slow night at your restaurant and one of your busiest nights of the month. Every business would like two-dozen or more additional parties who are motivated to spend money turning a slow night into a busy night. This increased business should replace the portion of the proceeds you are sharing with Night Out. And, customers who come in for the first time for the Night Out For Austin Tice might continue to reward you with business for months or years to come. Your participation in this program will change how these customers think about your restaurant. What Are The Plans For Advertising/Marketing & Publicity? A: Big newspapers like the Washington Post and McClatchy have agreed to give full page ads telling diners which restaurants are participating and thanking them for their support. In addition, the coalition will provide collateral material that restaurants can post on their websites or email to their customers explaining about the promotion and about Austin’s story. The partners will also provide in-store collateral that can be displayed for a week or more in advance of the special night so diners can learn about it and be reminded to return. The National Press Club will hold regular briefings for media about which restaurants have joined the program and how many there are in each state. We will highlight those who take a leadership role by encouraging others to join the program or who represent a new or innovative addition to the group. While we can’t be sure how many stories will be written about the promotion or which restaurants they will mention, the Press Club will make strong and regular efforts to keep media informed through news conferences, press releases and on its website. If Austin is returned without the need for a reward, Austin’s parents will direct the money to be used by agencies to help Austin return to society. The funds can be used for his medical care, housing, transportation and other essential needs. Can We Have Someone Come To Our Restaurant That Night To Talk About Austin Tice Or Take Questions? Well, we don’t want to disrupt your customers’ experience, but we will have a program at our restaurants at the Press Club which will be webcast so either the audio or even the full program would be available for you to show on a screen if you wish. You will just need web access and the ability to show video on a screen. And yes, it may be possible to have someone from your community come to your restaurant to speak and take questions that night if you wish. We do ask that you let us know if you arrange for an independent speaker. The primary goal is that more people find out about Austin and his case. The secondary goal is that someone who knows something about where Austin is will contact the FBI to share their information, and we hope to raise enough reward money to make that worth their while. There are many Americans of Syrian heritage who could know somebody in Syria or talk to them on a regular basis. Since the current crisis began the United States has accepted about 20,000 Syrian refugees. We believe it is possible to raise an additional $1 million through this program – this would double the reward and increase the chances that Austin is released. Can I Get A Tax Deduction For The Proceeds My Restaurant Contributes? You will be submitting your pledge to the National Press Club Journalism Institute, a 501(c)(3) organization, so yes: your contribution is tax-deductible.